MEXICO CITY, Oct 8 2013 (IPS) - The Trans Pacific Partnership Agreement (TPP), the negotiation of which is set to conclude this year, could drive research into new drugs and improve access to medicines. Except – it won’t. “That’s why the TPP could be a tool for promoting health and improving innovation and access, instead of fostering failed, costly systems based on monopolistic patents,” she added. The TPP free trade accord went into force between Brunei, Chile, New Zealand and Singapore in January 2006. Eight other countries are now negotiating their incorporation: Australia, Canada, Japan, Malaysia, Mexico, Peru, the United States and Vietnam. Of the 29 chapters under negotiation, the ones on intellectual property, investment and government procurement contain proposals, especially from the United States, to limit research and development of generic medicines, which are sold with the name of the active ingredient and can be produced once the patent for the original brand-name drug has expired. Because they are less expensive, generic drugs are essential in the fight against disease, especially in poor developing countries. The TPP talks have been shrouded in secrecy. But Rius said the aspects of the TPP that have been leaked to the press would hinder R&D in generic medicines, hurting the reduction of prices that has been achieved in recent years. 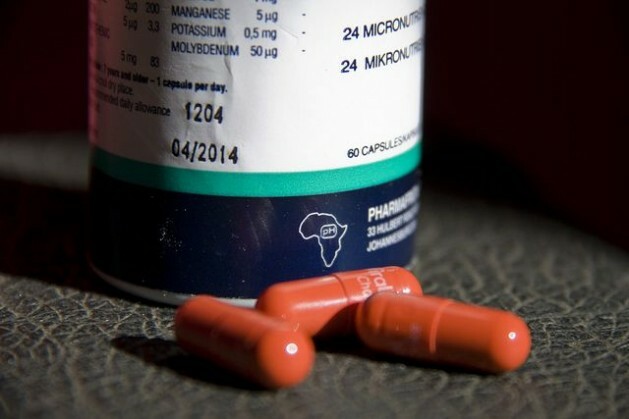 “Most affected by this would be patients, organisations that supply medicines, health and economy ministries, developing countries, and companies that produce generic medicines,” she said. “The TPP could lead to the extension of patents and could hamper access to medicines,” José Luis Cárdenas, a lawyer who is an adviser to the board of Chile’s Industrial Association of Pharmaceutical Laboratories (ASILFA), told IPS. “It is not realistic to think that developing countries are going to invest in R&D to produce new molecules,” given the investment capacity of multinational corporations, he said. The 19th round of negotiations for the TPP took place in Brunei Aug. 23-30. Since then, the talks are no longer general but thematic. There are 21 working groups negotiating the 29 chapters, which include issues like agriculture, intellectual property, environment, services, telecommunications and investment. Pharmaceutical patents give 20 years of protection, according to the Agreement on Trade-Related Aspects of Intellectual Property Rights (TRIPS) adopted in 1994 during the creation of the World Trade Organisation (WTO). But the WTO’s 2001 Doha Declaration on the TRIPS Agreement and Public Health reaffirmed the flexibility of TRIPS member states in circumventing patent rights for better access to essential medicines. Under this declaration, governments may issue compulsory licenses on patents for medicines, or take other steps to protect public health. Compulsory licensing is when a government allows someone else to produce a patented product without consent from the patent owner. Washington wants the TPP to extend the length of chemical drug patent monopolies by five years and of biologics – products that includes a number of lifesaving drugs used to treat conditions such as cancer, diabetes and hepatitis C – by 12 years. It is also pushing for data exclusivity, which gives companies monopoly rights over drugs by restricting the use of clinical trial data by drug regulators when approving generic or bioequivalent versions of drugs. This would keep the laboratories that make generic drugs from putting their products on the market as soon as patents expire. In addition, it is pushing for the controversial practice of “evergreening” – the name given to the industry practice of seeking new patents after making small modifications to existing drugs. Other measures on the table are patents for diagnostic, therapeutic and clinical procedures and the creation of a supranational mechanism to settle disputes between states and corporations. These initiatives “affect access to medicine by the most disadvantaged segments of Mexican society due to the implications for the quality, safety and effectiveness of pharmaceutical products,” Gustavo Alcaraz, of Mexico’s National Association of Drug Manufacturers (ANAFAM), told IPS. Alcaraz forms part of the Cuarto de Junto, a group of business delegates allowed by the economy ministry to monitor the negotiations without taking notes, after they sign a confidentiality agreement. The secrecy surrounding the talks has kept civil society, academia, or health consumers from expressing their viewpoints on what is being negotiated. Médecins Sans Frontières has called on the participating governments not to sign any agreement that undermines public health. In 2011, non-governmental organisations and academics urged United Nations Special Rapporteur on the right to health Anand Grover to issue an urgent appeal to the governments involved in the TPP talks, on the grounds that the trade deal would severely impact the public health of the poor in developing nations. In response, Grover sent a letter to the national authorities. But only Australia, Chile and New Zealand answered, defending the secrecy around the talks and voicing assurances that the right to health would be respected. The effects of overzealous protection of intellectual property in health have been studied. And as a result of the U.S.-Jordan free trade treaty, “Medicine prices in Jordan have increased 20 percent since 2001,” according to a report published by Oxfam in 2007. “Higher medicine prices are now threatening the financial sustainability of government public health programmes,” added the report. The details of the agreement are on the table at the annual Asia Pacific Economic Cooperation (APEC) Forum Summit, taking place Oct. 7-8 in Bali. After a TPP meeting on intellectual property in Mexico City Sept. 23-Oct. 2, the United States and Japan are now considering proposing that the extension of patent terms only apply to developed countries, allowing shorter periods in developing nations like Malaysia and Vietnam.